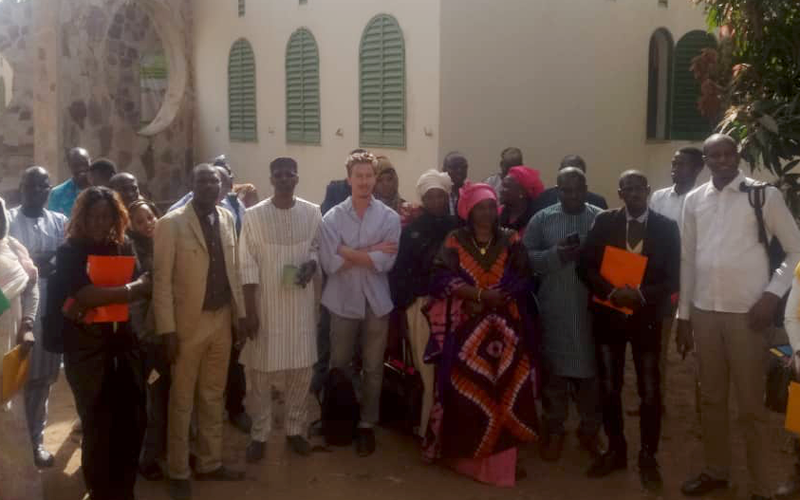 About fifty Malian youth organisations met to learn about and discuss the opportunities, experiences and practices of SSE in Mali.Written by Baba Cissé. The objective of the forum was to enable youth associations supported by the Youth and Power to Act (YPa) project funded by the European Union in Mali and Mauritania to better understand the advantages of the social solidarity economy (SSE), to appropriate the concept and to create a space for exchange and networking. This first forum of its kind brought together some 50 Mauritanian and Malian civil society organizations at the space for experimentation of SSE knowledge and practices for RENAPESS, located at the Football for Hop Centre of the Malian Association for the Advancement of Girls(AMPJF) in Baguineda, at the edge of Bamako. the role of public authorities in the development and institutionalization of SSE. These activities were followed by some visits to SSE companies and testimonies from the field. Launch networking through the creation of a Whatsapp exchange group. The forum was closed with a general networking meeting at the Balla Fasséké Conservatory in Bamako, and concluded with a cocktail reception at the botanical gardens in the presence of the President and content managers of RENAPESS Mali, the President of the Association of Student Clubs and Student Entrepreneurs (ACCE-Mali), also is also responsible for the Youth and Employment Centre of RENAPESS and the Youth Dynamics of RAESS and the leaders of Grdr Mali and Mauritania.